Hamburg forward Nicolai Müller's dream start to the 2017/18 campaign has quickly turned into a nightmare. 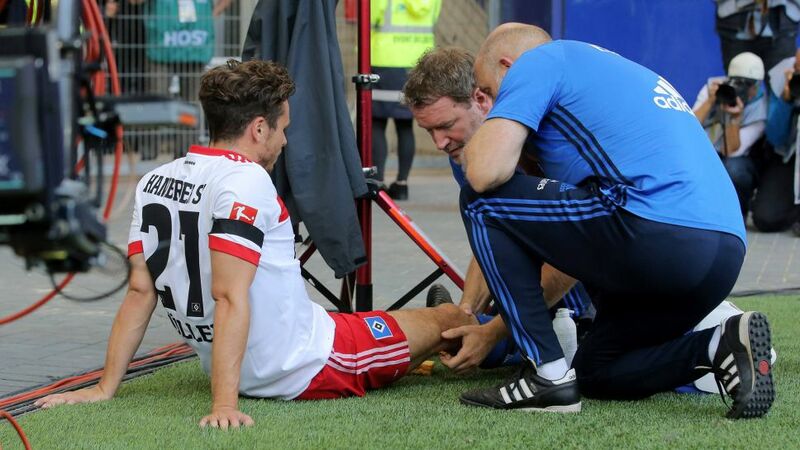 Müller fired HSV ahead against Augsburg, only to suffer a suspected right knee injury whilst celebrating his match-winning goal. He was substituted off five minutes later, with tests on Sunday revealing the extent of the damage: a torn anterior ligament and likely seven-month spell on the sidelines. "The diagnosis comes as a huge shock to us, it's a big blow at the start of the season and obviously is really tough on Nicolai," said Hamburg sporting director Jens Todt. "We wish him all the best for his recovery and, of course, will support him as best we can." "It's bad news," added HSV head coach Markus Gisdol. "I've never seen anything like it."